I did it. 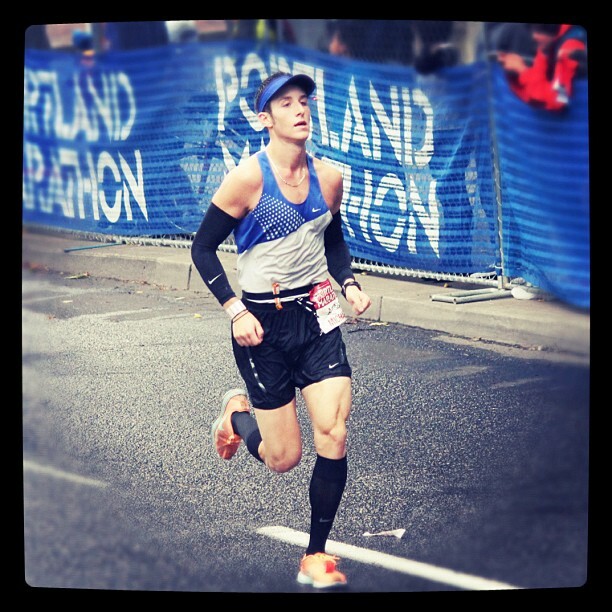 I ran the Portland Marathon on October 9th, 2011. My new years resolution was to run a marathon, and I signed up for the race on January 1st, 2011. Little did I know that over the first 10 months of the year I would run 3 half marathons, a full marathon, and still be hungry for more. I had several goals for the race, and they seemed to evolve as I evolved as a runner. At first, I wanted to finish. Then, I wanted to finish strong. By July I started thinking about breaking 3:30, then I landed on shooting for 3:20. 3:20 didn’t happen, but I’m glad I went for it. My official time was 3:23:13 (I even have my finishers certificate to prove it!). The hundreds of miles logged, the hours of stretching and massage, as well as the painful evenings of foam rolling all paid off. October 9th was a really special day for me. At the beginning of the race I was a runner, at the end I was a marathoner. I’m almost 1500 miles into this journey and I’m loving every stride of the way. I can’t help but ask, what’s next? I’ve got a couple half marathons over the next 3 months, I’ll work on speed and have some fun running shorter races. As far as the marathon, there will definitely be another. ~ by Michael Wolber on October 17, 2011.